A stroll down memory lane with Not Just Paranthas - CHOMP! SLURRP! BURP! I remember visiting Not Just Paranthas about ten years back, with the gorgeous Old world setting, old songs, a khatiya in front of the restaurant and a sign saying the use of fork and knife is prohibited. Not much had changed at this old time favorite carefully preserving the old world charm. 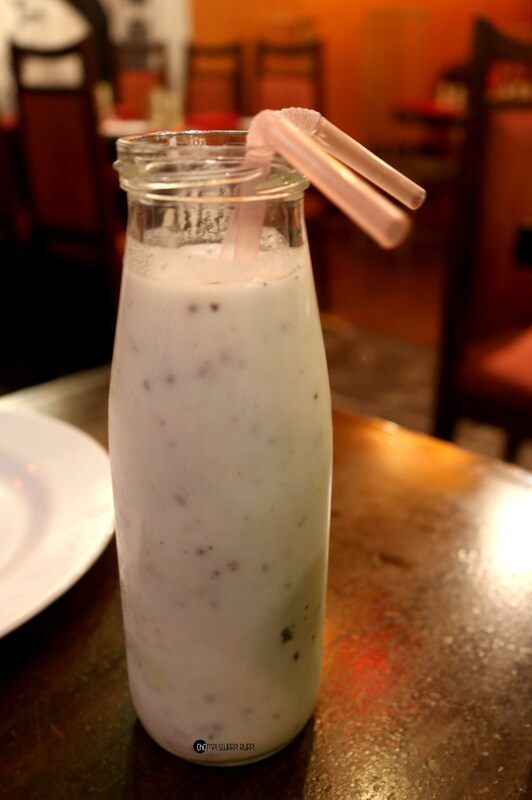 Their classic menu – the NJP Times listed the absolutely tantalizing variety of paranthas, curries, kebabs and thalis. This outlet at MG Road is designed most exquisitely reminiscing the galis of Old Delhi. The few new touches were the trending bottles and a mix of remixes with the old songs and a reduction in their heavy bottom glasses. We started with masala chaach – with a flavorsome tadka – the chaach was absolutely delicious. Next we tried the dahi ke kebab – sliced into two, served on cucumber slices with mint chutney – with a crumbly outside with slightly sweet and creamy filling on the inside. 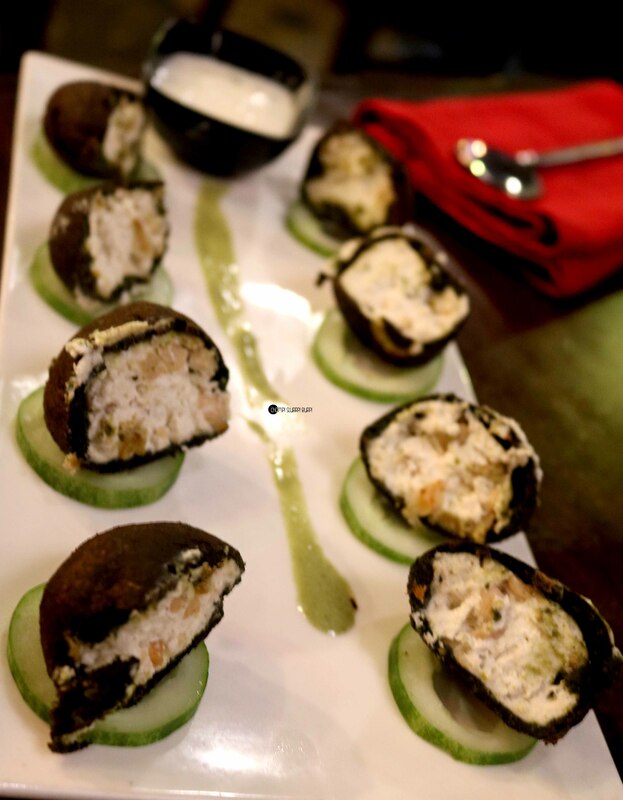 The rich and creamy kebabs were quite unusual with their blackish outer coating. For main course we ordered the classic dal makhmali, mix chur chur parantha and a 6inch cheese and garlic parantha. 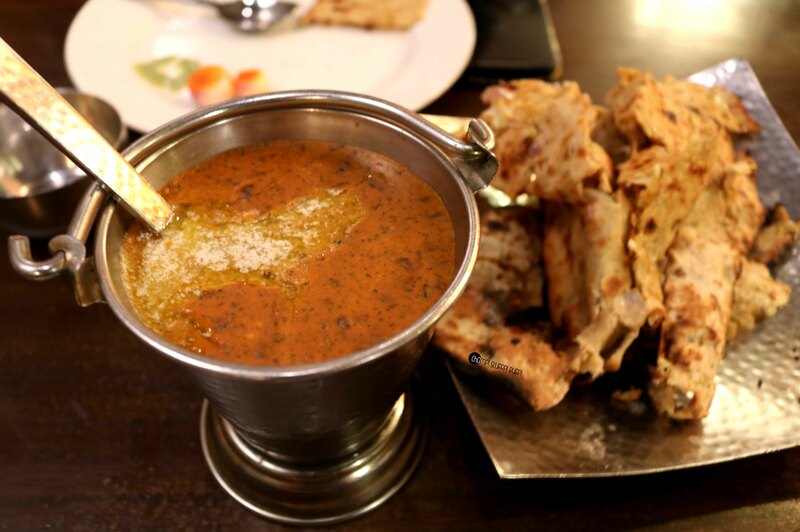 Their dal is one their most exemplary dishes – a gorgeous and creamy preparation with oodles of butter. 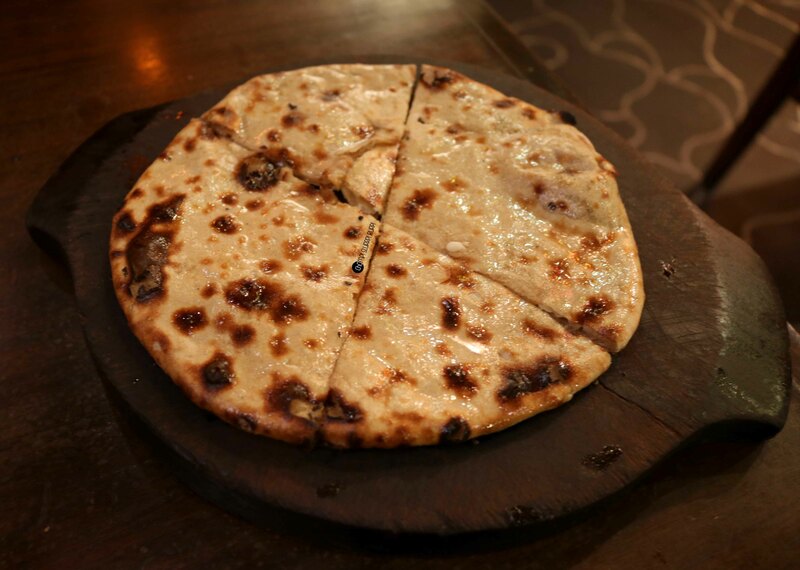 The chur chur naan again is a hot favourite – filled with a mix of aloo, pyaaz and gobhi, made to a crunchy, crispy and a delectable buttery parantha. The cheese and garlic parantha topped with butter – this one is very sinful piece generously stuffed with mozarella cheese and loads of garlic juliennes. 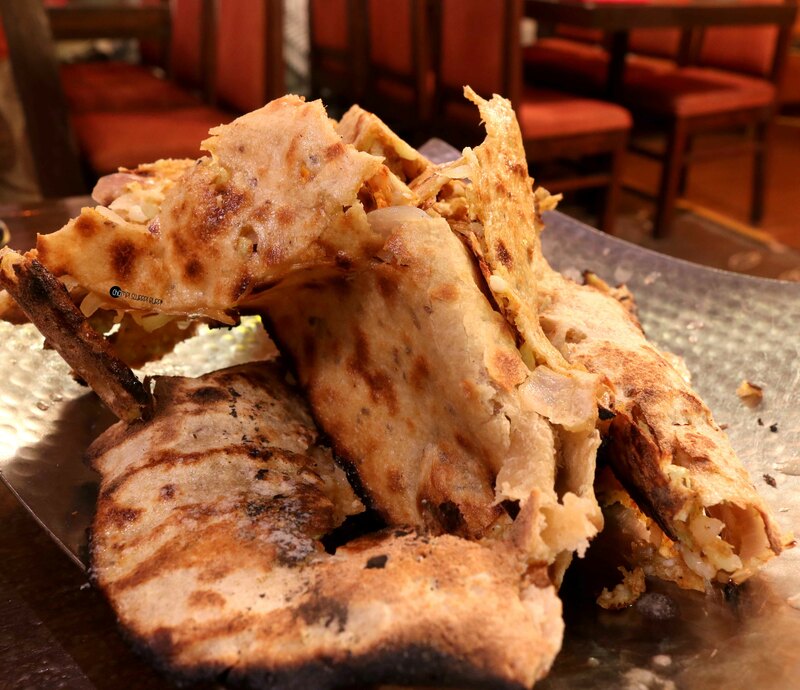 Pair these palatable paranthas with their creamy curries or mint chutney against a beautiful Chandni Chowk set up. Don’t miss on their dal makhmali and cur chur paranthas. Oh and drown these delicacies with traditional chaach.